Campers who may have participated in the water ski and wake sports activity at HOC (or elsewhere) may find themselves wanting to spend more time on the water fine-tuning these skills within this specialized Overnight Water Ski Program. The Overnight Water Ski Program is perfect for any male or female camper wanting more training on the water and who is ready to challenge themselves to master their favourite water ski or wake sports skills or even learn new ones from our certified instructors. Water ski/wake sport disciplines include Two Ski, Slalom, Wakeboarding, Wakeskating, Wakesurfing, Knee Boarding and even Barefooting! In an effort to keep up with the demand of Water Skiing/Wake Sports here at HOC, our specialized Overnight Water Ski Program is being offered for all summer camp weeks. This program is limited to campers grades 5 and older, with a maximum of 6 campers per age group. Campers are on the water 3 hours per day, Monday-Friday. Each group gets some time each day in their own boat with two certified instructors. This means there is lots of one-on-one teaching and practice time for each camper. In addition to this ski time, campers get to take part in one additional chosen land or water camp activities. Both extensive on-water training time and certified instructors help participants achieve advanced level instruction in all disciplines. Campers work toward their award levels (Bronze, Silver, Gold). 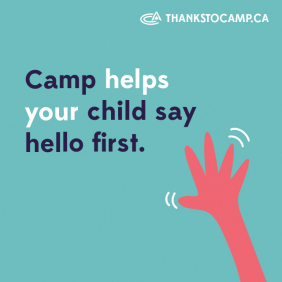 Campers may have the option to bunk with any friends attending the same week, providing there friends are within one grade or birth year and program enrollment allow the accommodation. Staying More Than One Week? Many of our campers who are interested in staying longer than one week, enjoy combining programs at camp for the full experience. Campers like to combine one week of our Overnight Water Ski Program with one week of either our Overnight Hockey or Overnight Camp programs.